At Pyramid Logistics, we are fortunate to be a part of some cool projects. While we treat all cargo as important, there’s a little extra fun knowing we are part of a tour with a partner that will bring a lot of smiles to faces around the country. 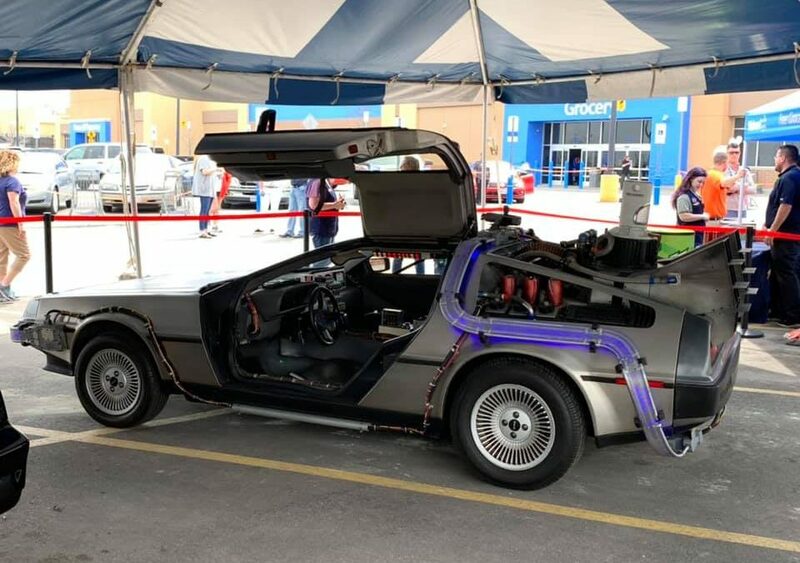 We are proud to be a part of the “Iconic Movie Cars” tour for Walmart. This is a 10-city, 30-day road trip that supports a recent television commercial you may have seen running. “Everyone on the Pyramid team gets a warm feeling to have a hand in this fun and exciting tour,” said Rob Dissman, Principal, at Pyramid Logistics. “There are people of all ages who have developed some type of memories associated with one or more of these amazing automobiles. It’s a privilege to be the transportation team for this very precious cargo,” Dissman added. The tour began April 10that the Blue Springs Walmart in Kansas City, Missouri and will wind back to California over the next several weeks. Pyramid Logistics develops customized solutions to transport everything from trade show displays to classic cars. Our specialized automobile solutions support a wide range of options to help you transport automobiles, concept cars, prototype models, motorcycles and even large trucks or aircraft. We have driven vehicles across town and across the country in our customized, specially built transport trucks and trailers, and we can provide you with safe transportation for your valuable vehicles.